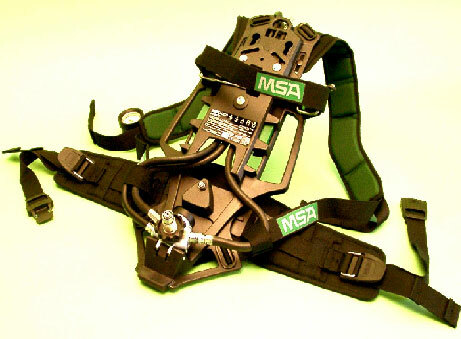 For high-frequency and extended SCBA wear, maximum user comfort translates directly into increased performance and good health. The AirMaXX SCBA preset combines premium ergonomic features with advanced technology to provide the best experience in SCBA wearability available today. The ergonomically designed and optimally balanced AirMaXX backplate is adjustable to fit all body sizes. This works in conjunction with the premium S-swing shoulder pads and swivelling hip belt to distribute weight evenly while increasing freedom of movement. Stress and fatigue are reduced as you perform your job without restrictions. The AirMaXX stays with you even when you are turned upside down. The alpha SingleLine pneumatic system integrates warning signal, second connection and gauge in an easily accessible manifold at your shoulder. The optional alpha Personal Network offers further electronic and telemetric monitoring and communication capability. If you are using your SCBA frequently, for long periods at a time or require absolute concentration in your work, the AirMaXX is the system of choice.